This post is my final Ecuador update for this trip. The day started early, again. After group Bible study we went up the mountain again (this time by foot) and we had a brief Bible study with two ladies and we had the privilege of meeting a three month old baby girl. She was precious. 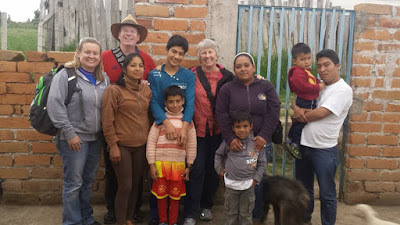 We then headed to Cayambe and visited with a dear church members family. They are an incredibly wonderful family and we are dearly blessed to know them. They treated us to an unbelievable meal. 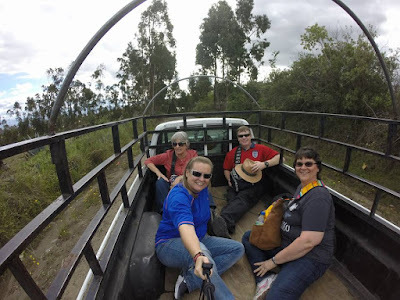 We did some shopping afterwards and then headed back to Tabacundo. While in Tabacundo we had one last get together and our team at this home broke into two groups. One group got confirmation from their little meeting that the person had actually received Jesus on a previous occasion. The second group had the chance to share Evangelism Explosion with two people for whom we have been praying for TWO years. These two individuals prayed to receive the Lord Jesus as their Savior. We can't wait to tell you in our share time about this new family in Christ. Please pray for our trip home tomorrow. We have to get up very early and we don't get home until very very very late. We need prayers for safety and strength because of the length of time from start of day to end of trip. We thank you in advance for your prayers and we also say thank you for all of your prayers that have made this week a success. We had a really good day. I think, and I feel safe saying I am speaking for the entire team, that we may have finally found a church IN Tabacundo with which we can partner. We are very pleased with the pastor, the congregation and the servant attitude they all possess. We have already suggested this church to several people. 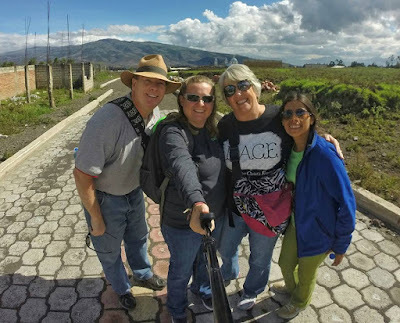 As you all know we have long sent people to Cayambe and both of those churches we have suggested over there are fantastic. We will still do some things with them because we love them and appreciate their ministry, but we have long looked for a church here. God may have provided one for us. After lunch we went on a truck ride through the area north of Tabacundo and met the president of a particular community. We had a great conversation with him and his wife as he walked us through the area. It was very encouraging for us to see new ministry opportunities. 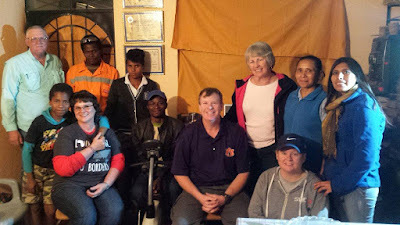 After the truck ride we returned to the apartment in order to prepare for our Bible study. We only had eight adults (there were also four children) and for the third straight Bible study it got very deep, very quickly and now we are exhausted. After the Bible study, however, two people stuck around and we had some really good conversations with them. 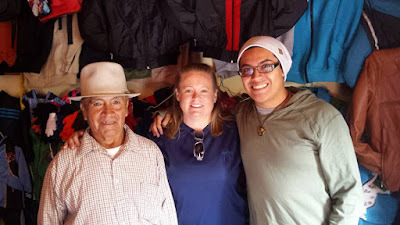 At this present moment we are hanging out with our dear friend from Cayambe who visits us in the states. She is a true joy in our ministry here and are grateful for her friendship. We only have one full day of ministry scheduled and it is pretty full. Pray for God to do an amazing work in the families with whom we find ourselves engaged. 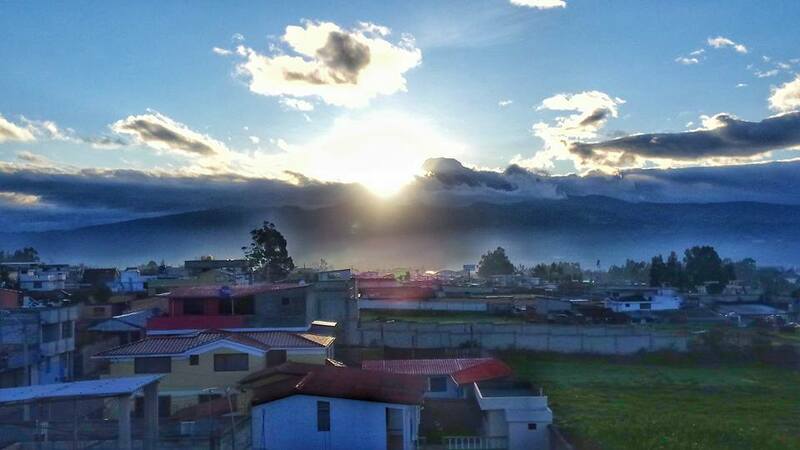 Pray for God to receive glory and victory here in Ecuador. Thank you for your partnership in prayer with us. You all are amazing. It has been another long day. I will tell you we had such a late night last evening that we decided to sleep in this morning. We had our devotional and then went to lunch. After lunch we came back and many of us had a nap. Some of our team members started preparing for our dinner because we had guest over this evening. After the dinner preparations we went to Las Esperanza and prayer walked. When we finished the prayer walk we went up to one of our dear friends who live in this town and had a Bible study. It was a good time encouraging them to remain faithful to the Lord. We then returned to the apartment and finished preparing dinner for our evening guests. It turned into a nice time of fellowship, but never opened itself up for a Bible study. We were a little disappointed about this reality, but trust the Lord to know that our fellowship time was exactly what He had orchestrated for this evening. Tomorrow is a full day. We attend a new church in the morning and are looking forward to this opportunity. In the evening we are having our first Bible study in the apartment and are praying for a large number of people to attend. Pray God does an amazing work in our midst. FBCBG, please know we are praying for your services tomorrow and may God bless you in abundance. Good night. This sentence might surprise you, but it is late once again here. This sentence also might surprise you, but we are very tired. Here is the run down of the day. Today was our free day. We went to two cities we have not been to before. One is known for their leather goods. The other city is known for their wood carvings. Both were very interesting. We learned some things about the wood carving town that will make that one a more enjoyable visit in the future. After we left those two places, we went to our traditional market we take first time team members. We left our apartment very early and got home at seven p.m.
After that we went to a house warming party. We were this families first guests and we know the rest of the team will be very excited for this very precious family. We can't wait to tell you more about it in person or in private message from one of our team members. We spent a couple of hours with them and now we are home. So, today, because it was the free day, was not very "exciting," but it was a fun day. Well, it is 11:30 p.m. here and we just got in a couple of minutes ago. One of our team members has a very sore throat and did not join the team on the first half of the day. Rather this person stayed in the apartment and slept. The rest of the team, however, went to get ice cream (Jhoe, they really enjoyed it) and to meet with a person and to eat empanadas. It was a really good visit. The afternoon consisted of another Bible study outside of our apartment. Lots of people were invited, but only the host actually came, but we had a great time digging into God's Word and growing in our faith. We had a meeting scheduled for our apartment, but it turned out to be a no show, but we did have another Bible study scheduled (again in someone else's house) and it is the one we have just returned from. It was fantastic. It is amazing to see how God's Spirit empowers His children and to watch this individual testify to God's faithfulness in the midst of potentially confusing situations. We are going to bed now. Please pray for our team mate with the sore throat. Pray for God's power to be on the team the remainder of their trip. May God be brought glory through our work. It is 11 p.m. here and we still have three members of our team out doing ministry. I have gotten some feedback regarding my much shorter post yesterday. If you desire more information than I provide you in this public forum, then I encourage you to befriend one of the other team members and ask them to send you a private message. Mission College stressed the need for safety and sensitivity in public messages. Having said that, here is the update for the day. The morning started off pretty slowly. 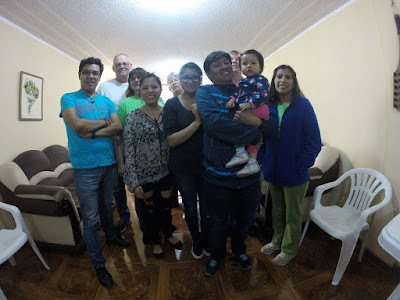 We had a great Bible study with our team and then met with our landlord. That meeting went well. In fact, he joined us for the prayer portion of our meeting. After lunch we split the team into two teams and we had A LOT of little meetings throughout the city. God did an amazing work of answering prayers and setting up Bible studies in other peoples homes. 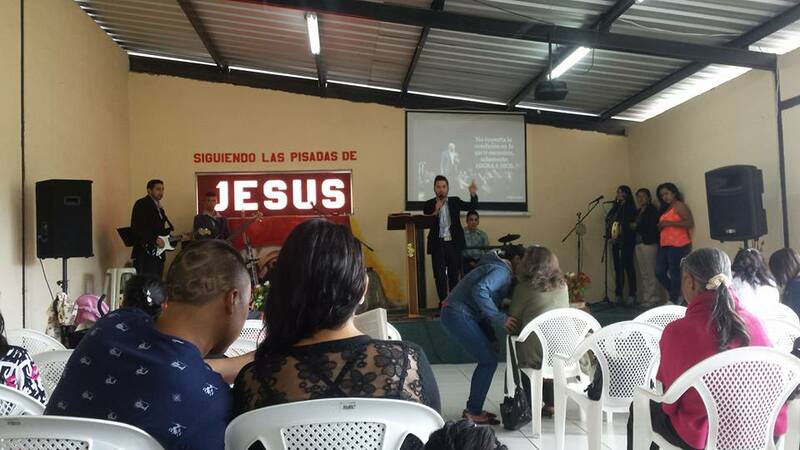 We also learned about future areas of ministry in which we have long been praying for a way to engage that particular area of Tabacundo. After those meetings we returned back to the apartment for a one-on-one meeting with our team and a local pastor. We are VERY hopeful about a potential partnership with this man and his ministry. Pray the Lord's will be done and we walk in His grace. After he left we had a scheduled Bible study in someone's house. One of the things we are striving to do is get the Bible studies out of our apartment and into the homes of our Tabacundo friends. It was a deep Bible study and went in a direction I would not have anticipated. The day is now done. One of the things I want you to know about my updates this trip is that they are going to be slightly different. We were advised by the Mission College to be sensitive to what we report back on social media. 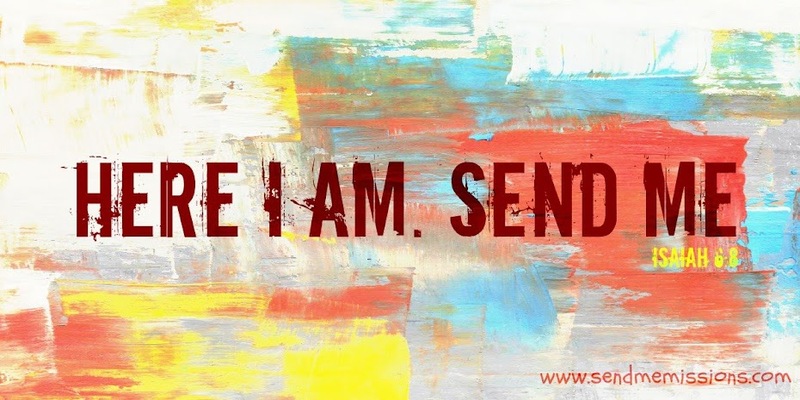 As a result, our messages will be more abbreviated. 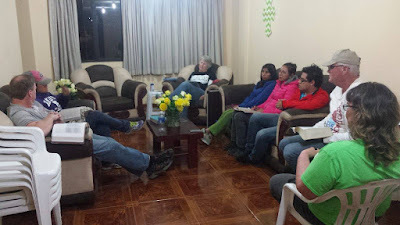 In short, we had a meeting with the IMB missionaries and it was a very helpful and good time. When we finished we had a brief rest and then started some prayer walks. These prayer walks also allowed us some opportunities to talk with some people. We then got back to the apartment and watched a webinar from the IMB on the heart of missions and it was very good. Please keep the FBC Bowling Green Mission Team in your prayers, as they make their way to Ecuador this morning.